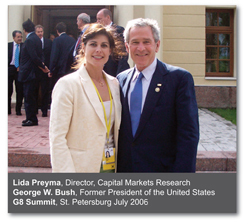 Lida Preyma, director, capital markets research. 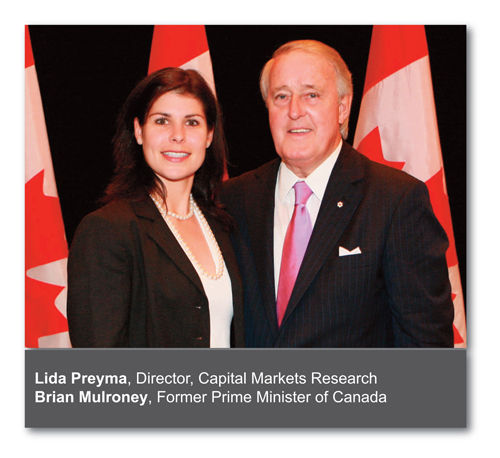 With more than 15 years of experience in the Canadian capital markets, Lida Preyma is the Director of Capital Markets Research at the G20 Research Group — the world’s leading organization dedicated to analyzing and researching the G20 based at the Munk School of Global Affairs at Trinity College in the University of Toronto. 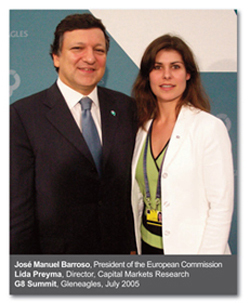 She is also the Director of Trade Policy Research for its companion organization the G8 Research Group, and has attended many G8/G20 summits starting with the G8 Evian Summit in 2003. 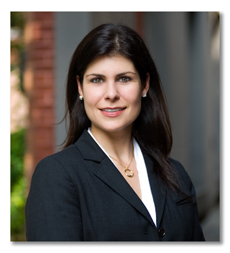 Most recently, Lida was the Head of Global DMA at JitneyTrade Inc., providing global electronic connectivity to the North American markets in equities, options and futures. Previously, she was Director of Business Development and Marketing at the Canadian National Stock Exchange (CNSX) and Pure Trading, Canada’s first alternative trading system. Her experience in the capital markets has been rounded out with time spent on the buy side at Guardian Capital and in Securitization and Structured Finance at BMO Nesbitt Burns. She was a member of the Credit Committee reporting to the board of directors for the Ukrainian Credit Union for five years and ran for federal parliament in 2004 right after her stint as Managing Director of Corporate Citizenship at Magna International. 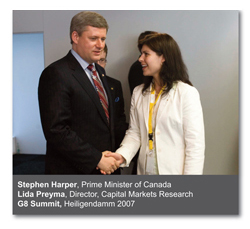 Lida holds an Honours Bachelor of Arts from the University of Toronto, where she specialized in international political economy, and has taken various industry-related courses.